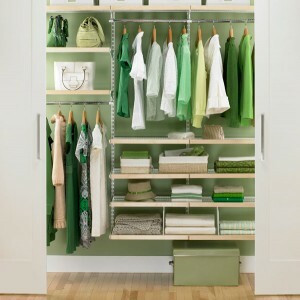 The usual way that closets are designed is not exactly ideal for maximizing its use. 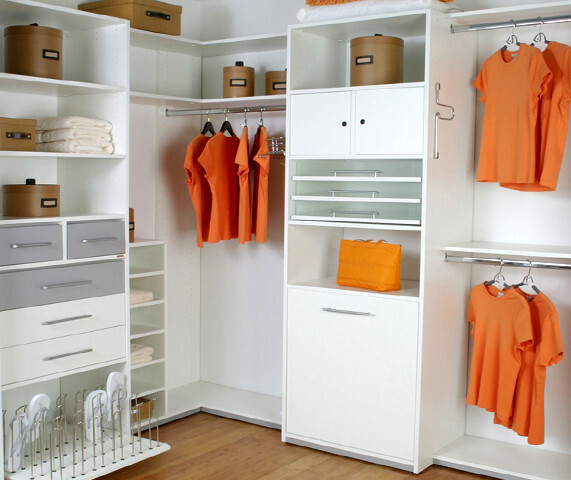 Here are a few ways and ideas with the help of which you can use your closet to its maximum and not go crazy worrying about not having enough space for your things. The first thing you can do is making piles of clothes on the basis of how much you wear them. One pile is of clothes you wear a lot, another of clothes you wear at times, and the third of clothes you do not wear at all. Think very carefully about which clothes you don't want to wear at all and then give them away to charity. You should aim to reduce the clothes and everything else in your closet by about ten percent. The second thing you can do is move as much stuff as you can outside the closet. 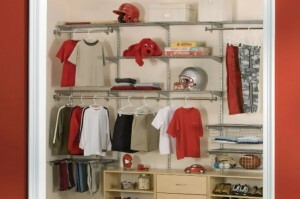 If you don't have enough space in your closet, you can find good under the bed storage, for example you can put seasonal clothes into vacuum bags and place them in under-bed storage and same goes for the shoes and you can hang your coats and jackets in a hall closet or on a coat rack in the entryway. If you have a walk in closet or a spacious room, you should think of getting a storage ottoman or bench, this way you will have a multipurpose object which can store and give you a place to sit while getting dressed. Nowadays everything can come in handy, even closet doors. There are straps and hooks that can be attached to the door and your entire collection of bags, purses, hats, scarves and belts can be attached to one side of the door. This can also be done with your complete jewellery collection. It's the norm to stack things up high on the closet shelf but there's only so much stacking you can do before everything comes toppling down and all you're left with is a huge pile of things that were neatly organized a while ago. Get yourself clear plastic storage boxes so that you can be neat about your stacking and can do it higher, it'll also keep your things dust free. Get boxes but make sure that they're not so big that you would have difficulty manoeuvring them off the shelves and out of the closet. Now finally coming to a product that can help you increase the amount of things you can hang in your closet, a double hanging rod. This little product almost doubles your closet utilization without making you spend an atrocious amount of money on a closet organization system. It's very cheap, and is just like a regular hanging rod that you suspend with the help of two chains from your existing closet rod. Double the amount of short clothes can be hung in your closet due to this little creation. Continuing in the spirit of creating more space in your closet, toss out all your wire hangers and get strong plastic ones instead, even this will help you save closet place, believe it or not.